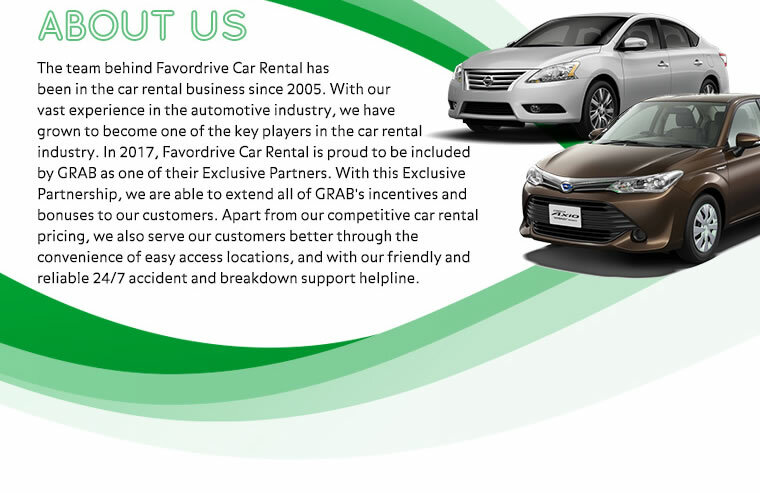 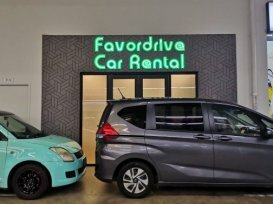 Favordrive Car Rental is a GRAB Exclusive Partner. 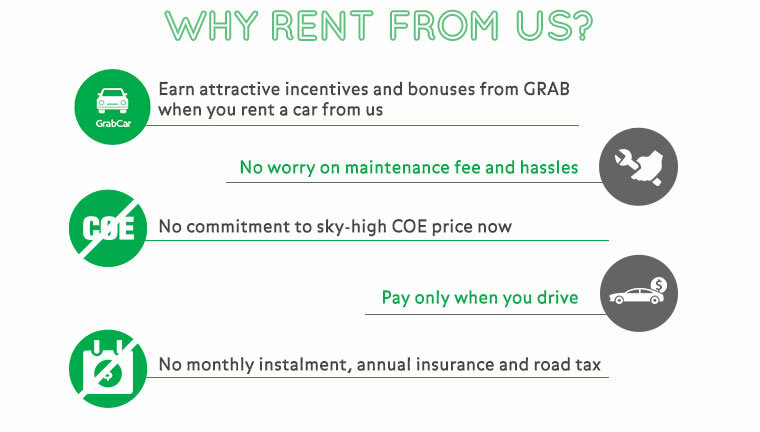 Get up to $2700 Sign Up Bonus and $150 Weekly Rental Rebate when you rent a car from us. 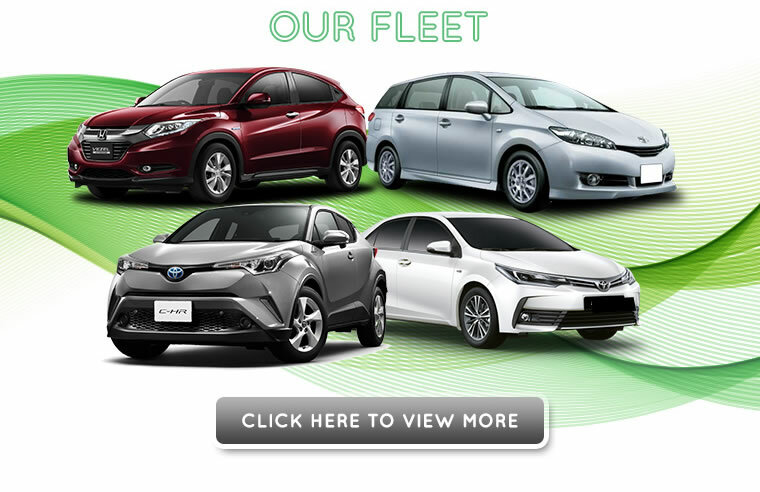 We strive to provide a wide range of vehicles at the most competitive price.